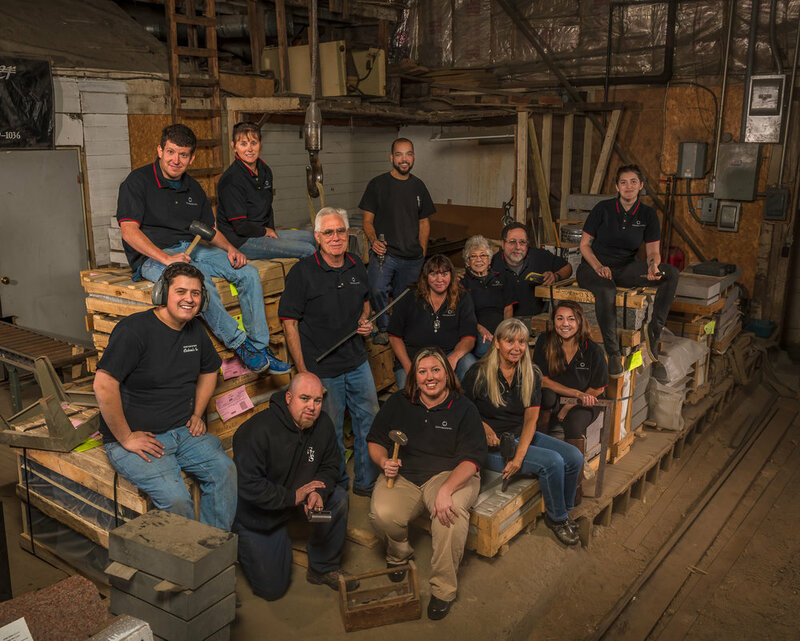 Cochran's Inc. has evolved from a small wholesale granite brokerage company to a pioneer in the technology field for the monument industry. We have a reputation for producing monuments that display the high-quality craftsmanship that Barre, Vermont is famous for. Teamwork is such an integral part of our company that our slogan is "Your Team in Barre". Please make an appointment with us, we would love to discuss what we can do for you. Cochran's has a large inventory of granite in standard shapes and sizes and in a variety of colors. We also can have your stone cut to any size or shape you desire including hand carvings. We have extensive design libraries for both sandblast and laser etched designs and are capable of creating quick and beautiful custom designs to suit your needs. Our team has the knowledge and experience to assist you in realizing your vision. Cochran's Inc. is a full-scale monument production facility in Barre, Vermont producing sandblasted and laser-etched monuments. We design carvings, gravestones, markers, slants, custom shapes and more for each customer. We provide domestic and imported granite colors in standard and custom shaped monuments, and our own software. Cochran's sells our stone products locally within central Vermont as well as wholesale to companies far and wide. We can assist you with compassion as you remember your loved one. Our BMGI (Business Management for the Granite Industry) software is great for pricing, entering orders and tracking inventory. Monumental Designer 2018, is used to create designs, scaled proofs, cutting files for sandblast, and even realistic 3D renders! Our color rendering shows customers what their monument will look like finished. We also sell stencil cutters for the monument industry and have classes available in our School of Rock for one on one training in Computerized Drafting, Sandblast, and/or Laser Etching Design.